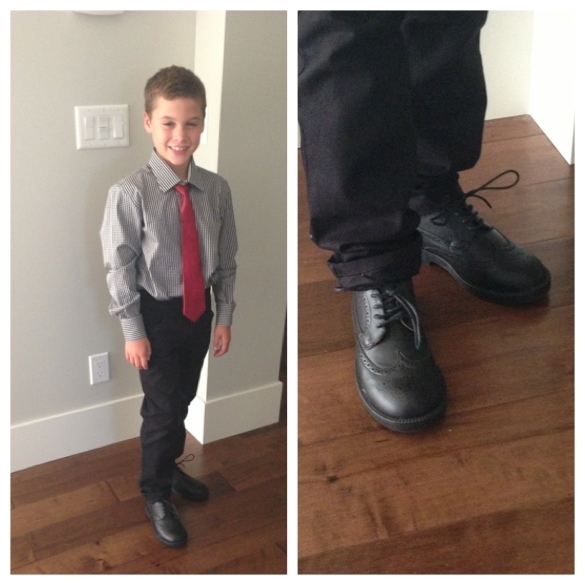 Friday Find – Boys Oxfords! Maguire, my son, is required to show up at the rink dressed up before hockey games. It has been a bit challenging to find him some fun and funky formal wear. Luckily my parents were able to shop for his birthday at Nordstrom and came back with some great shirts and ties. They really do carry the best boys clothes. So my next challenge was shoes! 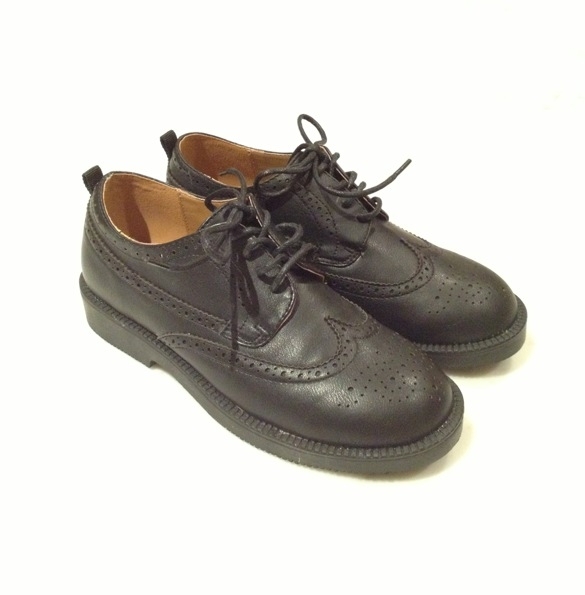 I happened upon these black oxfords in the JoeFresh boys’ department at Superstore just the other day. I was prepared to pay the $24 price tag (he will have to wear them once or twice a week), but at the till they were marked down to $12.94! Score! And they even have non marking soles. I’d say that they are pretty sharp! Lookin’ good Mac! Go Hawks go! Shirt is by Robert Graham from Nordstrom (it’s on sale right now! ), tie is from Nordstrom, pants by Shaun White at Target.